Hello Guys in this post we talk about how to root unroot moto g4 plus on nougat firmware and install twrp recovery. So, As we know as Moto already release Android Nougat 7.0 OTA update for some users and lots of users want root their device and in this post I will show you step by step guide on how to root moto g4 plus on nougat 7.0 and install TWRP recovery. This method tested on my moto g4 plus on nougat update, but do it at your own risk I am not responsible for any Damage. At this time if your device running on Android Marshmallow 6.0 firmware So you can manually update moto g4 plus on nougat. Before flash TWRP recovery and root your device, please make a full backup of your device data. First Download and Install Moto USB Drivers on your Windows PC. Second Download TWRP Recovery image file and fastboot tool on your PC. Extract Fastboot tool zip file using WinRAR tool on your desktop or you can extract it where ever you want. Now Copy TWRP Recovery image on the fastboot tool folder and rename it into recovery.img. Now Power Off your device and Boot your device into bootloader mode by using Volume Down + Power Button. Connect your device to a PC via a USB cable. 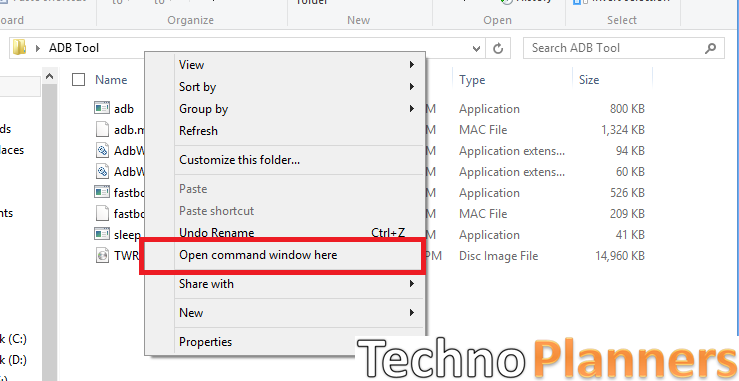 Open fastboot folder and press and hold shift then right click with mouse and select the open windows command here. 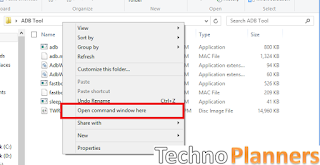 Type or copy below command in command windows and hit enter. Once the flashing is done, reboot your device. Once your TWRP Recovery installed on your device you can root your device. Fist download SuperSu.zip file on your PC link given at the end of the post. Copy SuperSu.zip file on your device internal storage. Now Boot your device into recovery mode by pressing and holding Volume Down + Power Button at the same time. Now from bootloader screen Press Volume Down key Two times and you will see Recovery mode option, press Power Button to Select TWRP Recovery Mode. Once your device boot into TWRP recovery Mode Just Select Install. Now Select the SuperSu.Zip in your device storage. Use the Volume key to move and select using the power button. It Will take some time to Finish the Process. After that, You can Reboot your device. Go to SuperSu Settings > Full unroot > Select Continue > The process will be done in few seconds. You can confirm your device successfully unrooted or not by using the Root Checker Application. Congratulation Now you can use your moto g4 plus on nougat with root and twrp recovery. Now you can verify root successfully installed or not by using the Root Checker Application you can download the Root checker Application from Play Store. Please share this post with your friends and family, Comment down below if you have any question. Thank you and have a nice day.